Our Dirtscreen bumper protects your ATV (most importantly your radiator) from collision and flying debris. Manufactured from 6061 grade aluminium with a 1.00 x .125 wall and a ball burnish finish. The bumper mounts in place of the factory bumper and uses the existing mounting hardware. Our Jaws bumper has a unique saw tooth design. A very popular bumper for many years for all riders, and still adds the protection of an OEM bumper. 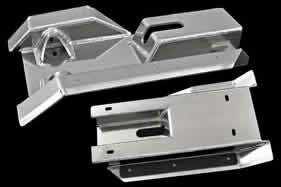 Manufactured from 6061 grade aluminium using 1.00 x .125 wall. The bumper mounts in place of the factory bumper and uses the existing mounting hardware. Our Pro Series Nerf Bars take racing to the next level. They include integrated aluminium foot pegs, replacing the OEM foot pegs. This improves rider comfort and stability. 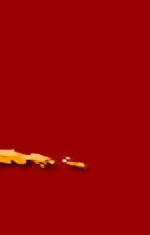 With a 20 – 24 degree side kick-up, the rider’s foot is prevented from slipping outward. Manufactured from 6061 grade aluminium with a 1.375 x .125 wall and a ball burnish finish. The Nerf bars come with all required mounting hardware, most models come with rear heal guards. Black webbing is standard, different colours are available as optional extra. Our standard nerf bars give the rider added safety and protection. Manufactured from 6061 grade aluminium with a 1.375 x .125 wall and a ball burnish finish. The nerf bars come standard with black webbing, mounting hardware and installation instructions. Black webbing is standard, different colours are available as optional extra. 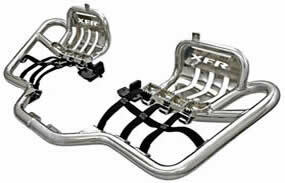 Including integrated aluminum foot pegs replacing OEM pegs, and with an impressive looking inbuilt heel guard. Black webbing is standard, different colours are available as optional extra. Universal fitting mini nerf bar. Includes heel plates. Black webbing is standard, different colours are available as optional extra. 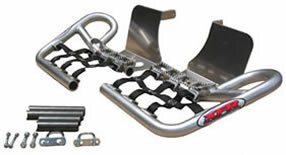 These stunning nerf bars come complete with integrated foot pegs and inbuilt heel guards. Made from the highest spec aluminum and finished beautifully. Black webbing is standard, different colours are available as optional extra. 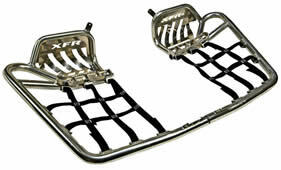 The latest quality bit of kit for your 250 Raptor, a must have for anyone using the 250 for racing or fun on the fields. Complete with integrated foot pegs and inbuilt heel guards. Black webbing is standard, different colours are available as optional extra. 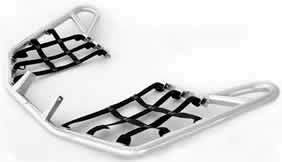 Our Skid Plates protect your sprocket, chain and brake rotor, a must have for enduro or trail riding. Manufactured form 3/16” thick 6061 grade aluminium. Skid Plates include a wear strip under the chain to prevent damage, and has a ball burnish finish. The Off-Road wide grab bar is designed for easier handling and manoeuvrability of the ATV. Our Off-Road grab bar mounts with the OEM hardware and comes with tail-light and flag mounting brackets, some models include fender brackets and hardware. Manufactured from 6061 grade aluminium with 1 x .125 wall and a ball burnish finish.